Roanoke in Virginia&apos;s Blue Ridge is a secret gem for mountain biking, according to a new story by Men&apos;s Journal. The article titled "The 7 Most Epic, Secret Mountain Bike Trails in America" features Roanoke and credits the destination for its recent designation as a new Silver-Level Ride Center by the International Mountain Bicycling Association, as well as the outstanding riding in trail systems on Mill Mountain and at Carvins Cove, and the backcountry riding in the George Washington & Jefferson National Forest. "If you’re itching for a multi-day MTB vacation, book your next trip to this section of Virginia’s Blue Ridge. The area has a silver-level ride center designation from the International Mountain Bicycling Association (IMBA), the only one on the east coast with the honor (and one of only 15 in the world). 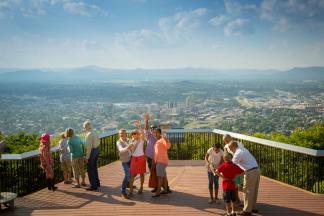 The distinction comes partly because of the abundance of trails—there are over 300 miles within an hour of downtown Roanoke, all of varying experience levels." 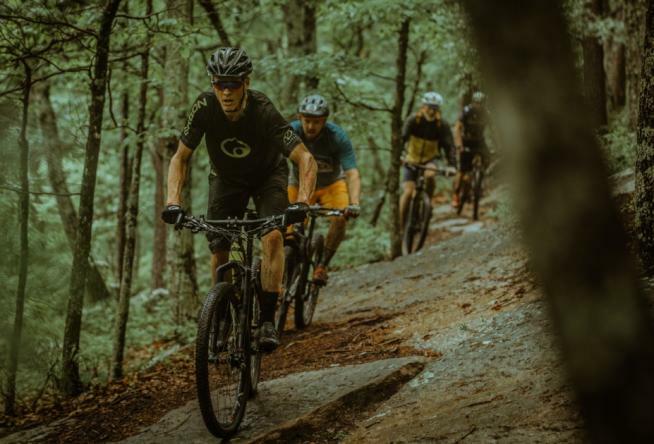 Roanoke&apos;s inclusion on the list helps put the area on the radar for mountain biking enthusiasts looking for up-and-coming destinations for riding, and places that have a chance to become the next Moab or Park City. The story was written by Samantha Lefave, who was assisted by the Visit Virginia&apos;s Blue Ridge Public Relations Department with more information and images showcasing the region. See the full list on the Men&apos;s Journal website.